The design of a stairs should ensure that it’s strong, stable, durable, but most importantly safe. 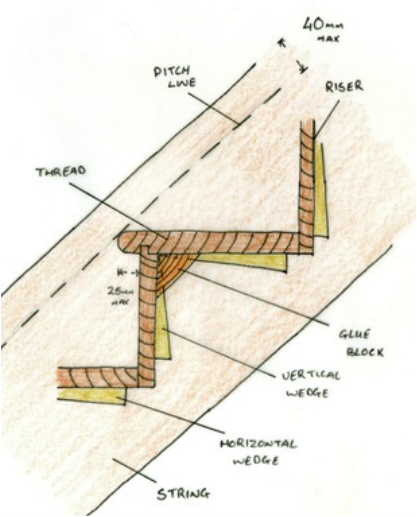 The step itself, meaning the rise and going, ensure that there is adequate space for a secure placing of the foot but also ensure that a step is not too high, causing a tripping hazard. The staircase itself consists of two strings, in which the steps are housed into to ensure a secure and safe unit. 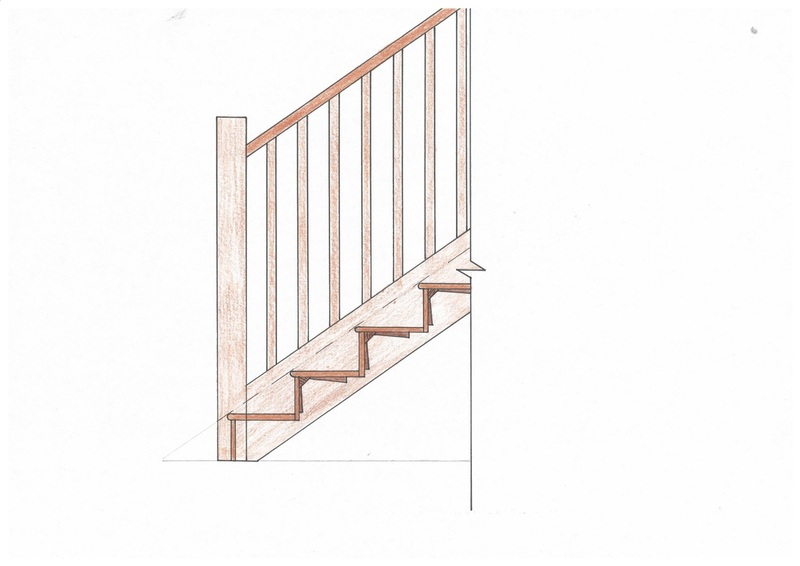 The Newel Posts at the top and bottom of the stairs, ensure that the flight of stairs is connected to the ground floor and landing. 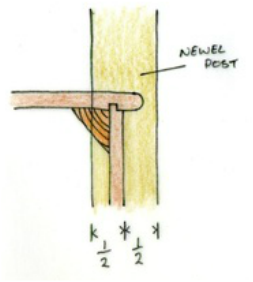 The handrail is parallel to the string and is fitted into the newel posts. The handrail and the balusters form the balustrade which provides protection on the open side of the stairs. In the detailed drawings given, the stairs are drawn at 35 degrees. The best way to achieve this angle is to draw across 200mm and up 140mm and join the points. This will give you the top of the string, which you can then step across 30mm to find the edge of the newel post. This video shows the most effective approach for drafting the drawing of the bottom three steps of a stairs detail.